Lower Manhattan has been a haven for business almost since the day it was first settled. For centuries, the ports and transportation hubs in Lower Manhattan have acted like magnets to businesses all over the world. 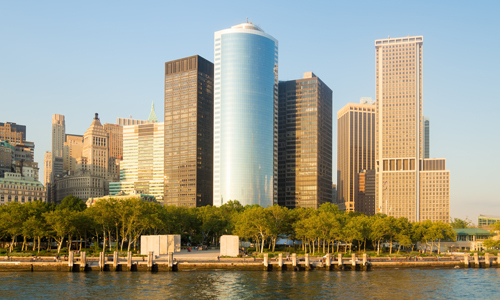 In recent times, Lower Manhattan has become part of a business revival throughout New York City that includes plenty of help from local, state and federal government agencies. Any business owner looking for help in putting a business in Lower Manhattan can look to these resources for all types of assistance. There has been a string of new programs launched by the state of New York and New York City that have been designed to help businesses finance their new operations, and get approved for incentives that will help them to get their businesses off the ground. The A-STEP program can give a business up to $100,000 in exemptions from paying sales tax on materials associated with the renovation or construction of business facilities. The primary types of businesses that benefit from this program are industrial and manufacturing companies, but any business in Lower Manhattan is encouraged to apply. Business Incentives Rate is a cooperative effort between the New York City power company Con Edison and the NYCDEC. With this program, industrial and manufacturing companies can be approved for discounts on the delivery charges Con Edison puts on electric bills. This program was designed to stimulate growth in the Lower Manhattan business sector by helping companies to pay less on their energy bills. The discount ranges from 30 to 35 percent, and it is in effect for five years. The Lower Manhattan Downtown Alliance offers low interest rate loans to retailers and manufacturers. The loans can be worth up to $100,000 each, but they are only available on a limited basis. Contact Information: Call the Downtown Alliance at 212-835-2771 for more details and application information. The entrepreneurial spirit has always been alive and well in Lower Manhattan, but now there are programs available to help entrepreneurs to create successful and long-standing businesses. With all of the high rise office buildings in Lower Manhattan, it can be easy to forget that many of the new entrepreneurs in the areas are artists. While artists may be creative people, they tend to lack the business knowledge necessary to run a successful company. The Lower Manhattan Cultural Council holds a series of workshops designed at teaching artists business skills such as professional networking, bookkeeping and budgeting. The Best for NYC program is a competition that recognizes the best up and coming businesses in Lower Manhattan, and offers assistance in helping those businesses grow. Throughout the competition, businesses will receive advice on improving their profitability and getting the most out of their opportunities. To register for the program, you need to visit the Best for NYC website at https://medium.com/best-for-nyc. The fashion industry is strong in New York City, and to help Lower Manhattan designers to succeed the Design Entrepreneurs NYC program offers a free MBA-level education. The program includes courses in finance, management, marketing and advertising. There is also $100,000 awarded to the fashion entrepreneur with the strongest business plan ideas. Developing a reliable workforce is critical to the success of any business, especially in a competitive environment such as Lower Manhattan. Businesses in the area can look to these programs for help in workforce development, and general business needs. The Lower East Side Employment Network is a workforce development program run by the Chinese-American Planning Council that helps to match companies in need of employees with qualified workers. The Henry Street Settlement is a community organization that offers a workforce development program to the residents in Lower Manhattan and the surrounding areas. Residents can also get career training and health care resources from the Henry Street Settlement.